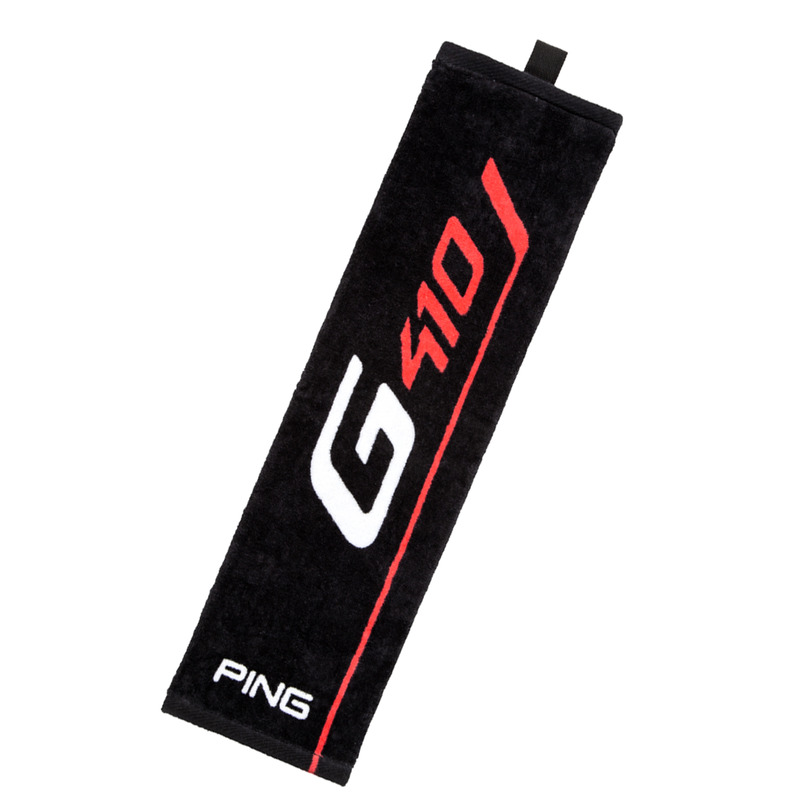 Look and care for your expensive golf equipment with this PING towel. The towel has a cotton construction and space-saving trifold design, and can easily be attached to your golf bag with a webbing loop attachment. 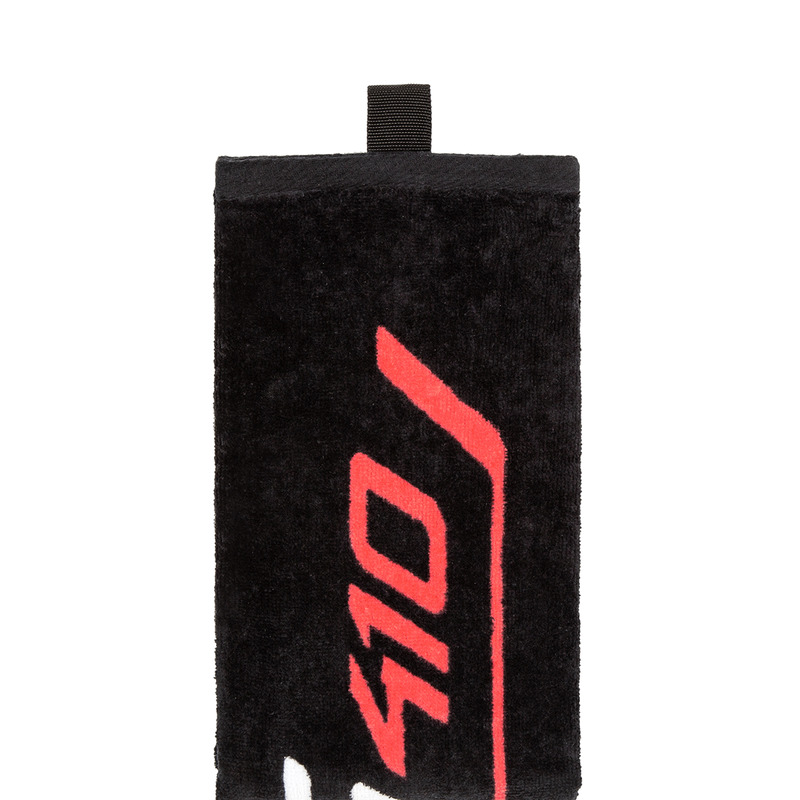 The towel has a contrast colour PING G410 branding to match the latest equipment range.